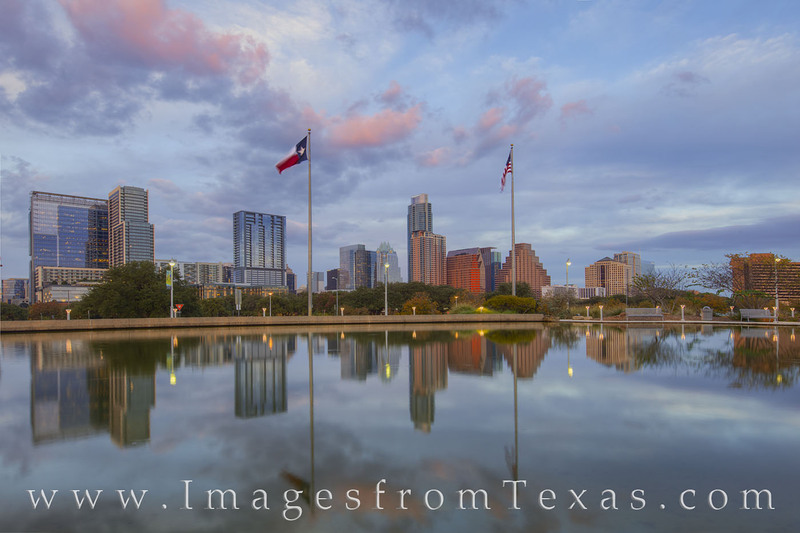 From the pool just to the west of the Long Center near downtown Austin, Texas, this view shows the reflection of the skyline in the calm water on a calm December evening. The buildings are showing a bit of color at sunset, and overhead the low clouds are turning pink - just for a brief moment - before giving way to the night. Photo © copyright by Rob Greebon.